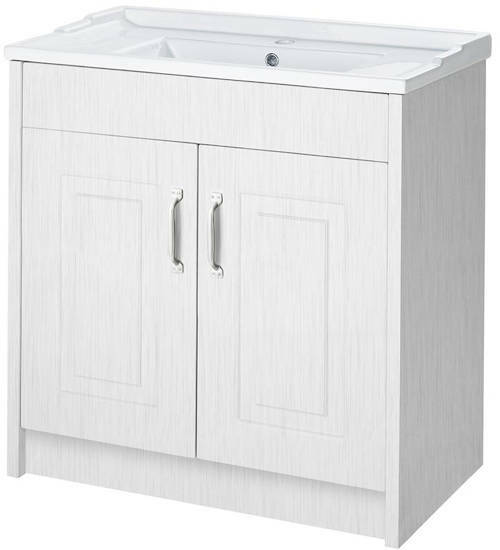 Old London York > 800mm Vanity Unit & Mirror Cabinet Pack (White). 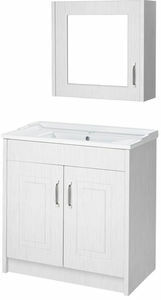 York traditional 800mm vanity unit with ceramic basin and mirror cabinet in white. Manufactured from solid MDF (foil wrapped). Unit hides away unsightly pipes and plumbing. 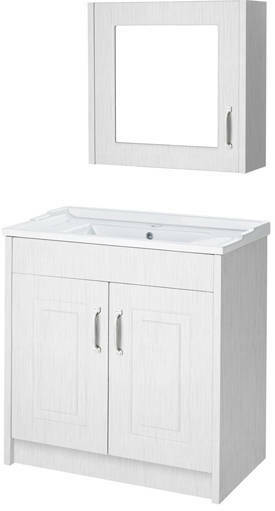 Vanity unit size: 800W x 858H x 460D mm. 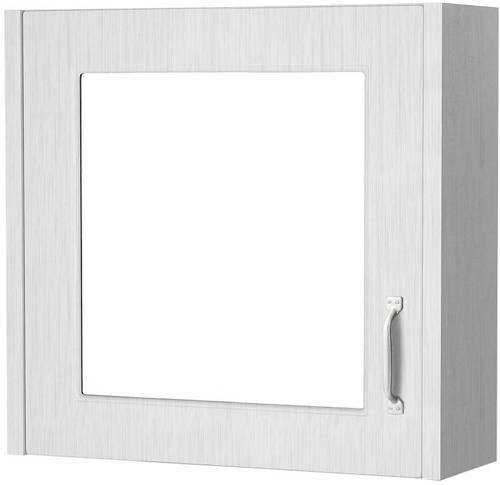 Mirror cabinet size: 590W x 595H x 162D mm. The Old London York furniture collection showcases traditional charm with a contemporary twist in three distinctive colours. With two sizes of vanity unit, matching mirrors and a complementing WC unit you can have the storage you need whilst achieving a fully co-ordinated bathroom look.